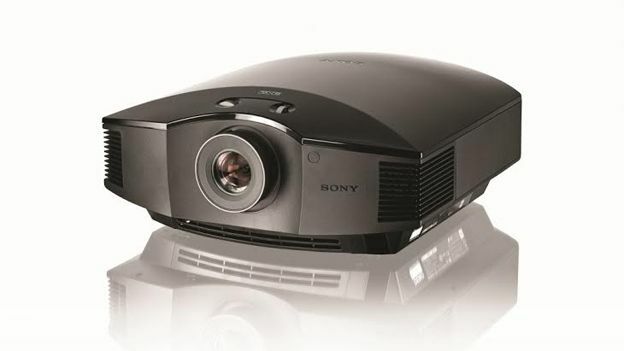 Sony has unveiled its latest home cinema projector, the VPL-HW40ES. The Sony VPL-HW40ES brings many of the features found in the more expensive HW55ES, but in a much more affordable package. It comes with the same SXRD panel found in many of Sony's top end projectors. Because of that, the Full HD, 3D compatible projector has an uprated optical engine with a brightness of 1,700 lumens. That means it should be bright enough to play games or watch movies without the need for blackout curtains. The 3D IF emitter has the ability to work with both the active shutter glasses included in the TV, as well as options RF models. The HW40ES comes with Sony's proprietary Contrast Enhancer, Motionflow and Reality Creation Technologies, meaning it should come with a clear image, smooth fast moving seances and a sharpness beyond that normally seen on Blu-ray movies. Sony has moved to quash fears that the unit will be noisy – according to the company, it emits only 21 decibels of noise. “This is a huge step forward for our home-cinema range, offering an exceptional viewer experience both in 2D and 3D,” commented Sony Europe's product manager for Home Cinema projectors Thomas Issa. Sony hasn't announced a UK price or launch date yet. However, European pricing has been set at €2,100 (around £1,800). It should also be out on the continent by the end of April.